This year, perhaps the most high profile ‘retirement’ has been that of Kevin Pietersen of England. Pietersen shockingly called it quits from one-day internationals as well as Twenty20s, expressing his disappointment towards the England and Wales Cricket Board not doing enough to curb a punishing international calendar for the team. Although there is a slight chance that Pietersen may make a dramatic comeback in both the formats soon, but in case he does not, he will be a big loss not just for England but for the game as he is indeed a ‘box office’ player, who would only be seen in the five day game and the Indian Premier League for the Delhi Daredevils. Not only Pietersen, but even Ricky Ponting does not play ODI or T20 cricket any longer after he decided to quit ODIs earlier this year, a format in which he is the second highest run getter of all time, only behind the master Sachin Tendulkar. Lee has had a glorious 13 years playing for the Australian cricket team, and he was by far the last of the pack of ‘menacing’ Australian bowlers which troubled batsmen from around the world for most of the 2000s decade. His retirement will now see a completely different Australia from what it was a couple of years ago, with Ricky Ponting deciding only to play Test cricket beginning January 2012. The 35 year old will go down as the ‘original speed king’ from the land of the champions, being an inspiration for fellow pacers such as Dale Steyn from South Africa to emulate. He began his career in the home summer of 1999 against an Indian batting line up comprising of the likes of Rahul Dravid, Sachin Tendulkar and Sourav Ganguly. Surprisingly, he turned out to be a huge success in the series as Australia whitewashed India in the 3 match Test series although the bowling attack comprised of Glenn McGrath, Shane Warne and Damien Fleming. By then, he was already tipped to be the future leader of the attack largely due to the lightening quick pace that he possessed which was actually abnormal at the time, for a 22 year old fast bowler to have. But again like in his childhood days, he suffered from injuries in the ankle and elbow at the beginning of his career which robbed him an initial opportunity to cement his place in the ODI and Test teams. During this time, Jason Gillespie also gained momentum with his form and managed to partner McGrath very well. However, the moment Lee recovered from his injuries, fortune favoured his return to the team since Damien Fleming was no longer a part of the side and so his void needed to be filled as quickly as possible. And from there on, there was no looking back as he established himself in the team, proving time and again why he deserved to be in the starting XI. Lee then proceeded to have a fabulous 2002-03 season, which was incidentally the first of Ricky Ponting as ODI captain of Australia. It also included a highly successful 2003 World Cup in South Africa, where he finished as the second highest wicket taker for Australia in the entire competition, being one behind the Pigeon, Glenn McGrath. Even if the conditions were conducive to his style of bowling, one cannot ignore Lee’s contributions, his best figures being a 5-wicket haul against New Zealand which enabled Australia to defend a meagre total of 204 in a crunch Super Six game. Australia remained unbeaten throughout the competition. 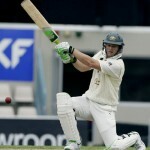 Under Ponting, Lee was revelling in the one day format but continued to struggle in the Test matches. Injuries once again affected him and thus he lost a place in the Test team to Michael Kasprowicz. Yet, it was his ‘never say die’ attitude and desire to make Australia win as many matches as possible made him take 310 Test wickets by the time he ended his career in the longest format of the game. Initially, Lee was like any other fast bowler of modern times, someone who loved sledging. But gradually he realized that it was affecting his rhythm and mental balance, which is why he decided to be aggressive but in a calculated manner. This makes him respectable for any opponent, not just feared. But any come back after injury made Lee even more lethal. 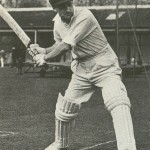 Although it was pace which remained his main strength throughout his career, he did add variations to his bowling such as the reverse swing and probing the batsman regularly outside the off stump instead of being erratic of his line and length. 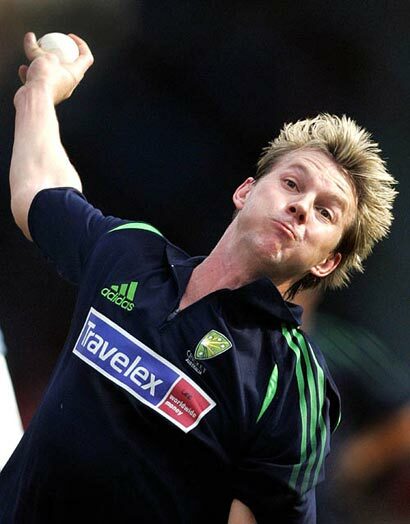 That made him succeed tremendously in home conditions in both formats of the game and gradually he became the leader of the Australian bowling attack, once Glenn McGrath retired after the 5-0 whitewash of England at home in the 2006-07 Ashes and the moment Jason Gillespie faded from the international scene. Although Lee had a huge responsibility to mentor a bowling attack which was an integral part of a team in transition, ironically the period between November 2007 and August 2009 which was the watershed one of his career. He helped Australia beat teams such as India, Sri Lanka and New Zealand at home and West Indies away and managed to pick many wickets in lost series such as in India against India and South Africa at home as far as Test matches are concerned. While in ODIs, Australia somehow managed to keep their No.1 ranking until January 2009 primarily because of Lee’s good form. But finally age took a toll on Lee. Being 32 years old, he decided to quit Test cricket only just before the Ashes series in 2009 in England because of another injury which could threaten his career. Probably, it was a blessing in disguise since they needed those bowlers who could be a regular part of the team and have 100% fitness every time they come onto bowl. Yet, what Lee knew the best was raw pace. The world remembers him for the entertainment he gave, while making batsmen shiver at the crease. Thus, he continued to be the leader of Australia’s ODI and T20 attacks even as the team struggled for the most of 2010 in ODIs, following their wins in England and India and the ICC Champions Trophy in South Africa in late 2009. Australia may have also had a disastrous World Cup 2011 in the Indian subcontinent, but Lee seemed to be the only bowler who actually threatened opposition batsmen as he tried to use his experience of Indian subcontinent conditions to the fullest. In the quarterfinal against India, Lee was struck in the eye while trying to save a boundary and even as blood was coming out of it profusely, he still carried on to bowl even though in the end, it was neither his or his team’s day. It clearly showed the passion he had for the game and playing for his country, and it won him many admirers. He assessed his playing future and although he achieved almost everything what a fast bowler can desire, he wanted to end as Australia’s highest ODI wicket taker which is not wrong as long as he felt he had the fitness and ability to give it his all for Australia. But incidentally, he ended equal to Glenn McGrath, with 380 wickets following the recent ODI series in England, in which he got injured during the fourth game and had to head home. It is after injury that he called it a day in all formats of the game. But with his retirement, it is only Dale Steyn of South Africa (one of his disciples) who can boast of having sheer pace in his bowling in all formats of the game, no one else. Lee will now be seen only in the Indian Premier League for the current champions, Kolkata Knight Riders where he again is an integral part of the side even though batsmen manage to score runs off him, due to the nature of the T20 format and of course Indian conditions not being that favourable to him. As fate would have it, Lee also plays for Australia’s current champion side, Sydney Sixers in the Big Bash League and Trevor Bayliss, another Aussie who is the head coach of both the teams! He has given up the game and now he can look to spend more time with his 10 year old son, to whom he does not look as if he is his father. Such is his fitness and looks, which have made many swoon over him. He can also now play the guitar more across the world with his band which also comprises of his elder brother and former cricketer, Shane Lee. And ofcourse he can also look forward to more singing opportunities in the future, especially in India where he once sang a duet with legendary singer, Asha Bhosle in 2006. What a champion cricketer from New South Wales! Here was a Lee, where comes another? Boucher will perhaps be the last legendary wicketkeeper batsman to have played the game. After all, where are the classic wicketkeeper batsmen these days? MS Dhoni has proved himself only in the shorter formats of the game, Brendon McCullum and Kumar Sangakkara perform keeping duties only in ODIs and T20s, AB de Villiers (Boucher’s fellow South African) is yet to do wicketkeeping in Test match cricket, and no one can foresee Matt Prior and Craig Kieswetter becoming greats for England. While Australia’s Matthew Wade and Bangladesh’s skipper Mushfiqur Rahim have got the talent, their attitude to excel at the international level remains to be seen. Just because he is from South Africa, Mark Boucher perhaps not that much of recognition and credit as much as his counterparts for the majority of his career such as Adam Gilchrist of Australia or Alec Stewart of England. But as ironical as it sounds, it is largely due to his efforts behind the stumps that South Africa is what it is today, a cricketing superpower if not the champions. He was initially tentative in wicket keeping in swinging conditions such as those in England and his frailties were exposed in the 1998 tour there in which the Proteans lost the Test series. However, he has a great temperament and determination to succeed and he worked harder as ever to improve his keeping skills even as his other teammates would look to get off the field after a tiring work out or skip optional practice sessions. His desire to keep improving will make him hold the world record possesses perhaps forever in Test match cricket, after he successfully went past Adam Gilchrist. Boucher is a relentless competitor and aggressive and that is seen in his batting as well. In Tests he has an average of 30.20 which is impressive for a No.7 batsman while in ODIS, it is a strike rate of 84.76 which is eye-catching. He famously guided South Africa home in the 2006 ODI at Joburg against Australia in a world record chase of 434. He also has one of the fastest ODI centuries of all time, scoring a hundred in just 44 balls against Zimbabwe in 2006. With his retirement, it is only Jacques Kallis who is the old warhorse of this South African team in both formats of the game and once he retires as well, it will be a new look South Africa that the world would get to see. The trio of Smith, Boucher and Kallis have been the key of the team reaching the stage where they are just one series win away from being the World No.1 team in Test cricket as well as ODI cricket officially as per the ICC rankings. Boucher has always been South Africa’s No.1 choice for wicketkeeper for more than a decade, until AB de Villiers carved a niche for himself as primarily a batsman who can keep wickets very well. That made the South Africans drop Boucher from the ODI and T20 teams, so that they could add another all-rounder or batsman to get their balance right. So, he was only considered for Test cricket since the last three years but even then Boucher did not disappoint many as he continued to be the No.1 in his country when it comes to this precious skill. 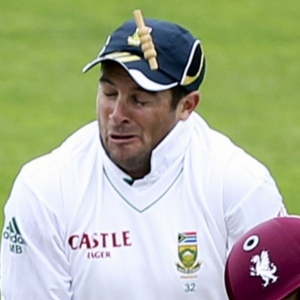 With South Africa playing England and Australia away in the same season just as in 2008, Boucher’s role would have been extremely critical in helping his side win both the series and perhaps become World No.1, a dream which they have possessed since ages. But sometimes sport can be cruel to even the best, and as fate would have it, Boucher got severely injured on his left eye in one of the practice matches in England. And the reason also might tarnish his legacy to a slight extent– he did not put on a helmet even as he kept to a spinner, and so a bail struck his eye severely as he tried to complete a stumping. With this, he ended his career with ‘999’ international dismissals to his name, how unfortunate not to get the four digit milestone! It would never be easy for AB de Villiers or any player to replace Boucher behind the stumps in Test cricket, since wicket keeping has a bigger role to play in it. This also implies that South Africa will have to make the balance of the Test team like the ODIs, in which they have to find one more solid batsman. Or another wicketkeeper batsman could replace him, making de Villiers continue to play the role of a pure batsman in the team. Nevertheless, a gem of world cricket departs from international cricket at least, although he might only turn up for his home franchise Cape Cobras in domestic cricket. Taibu was considered to be Andy Flower’s successor as Zimbabwe’s permanent wicketkeeper batsman in all formats of the game. But sadly, he could never live up to those expectations. 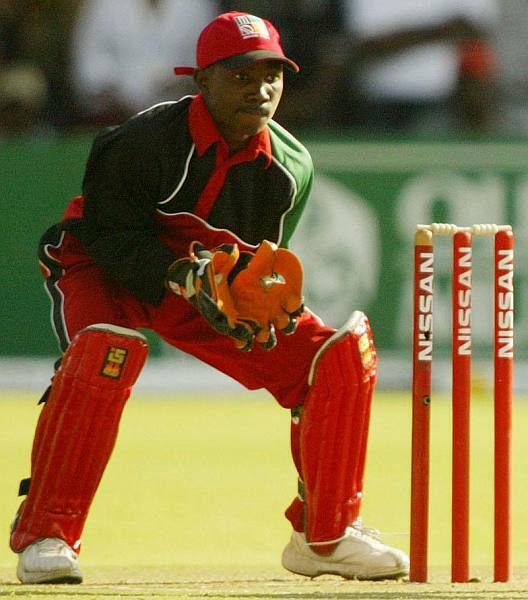 His nations has been the minnows of cricket for a long time now, and the political turmoil in the country has directly ruined its cricketing future, so much so that it is taken for granted that Taibu would not wake up in the morning and wish to don the Zimbabwe jersey and go out there to play cricket. He is undoubtedly the youngest Test captain of all time, being only 20 years old when he led Zimbabwe in a Test match against Sri Lanka in May 2004. It was 30 months prior to that when he made his international debut. He was never that consistent for the team, yet he was one of its key players. He was under the shadow of Heath Streak, but gradually rose out of it when he succeeded him as captain of the side. He also turned out for several matches in the 2008 Indian Premier League season for the Shahrukh Khan owned Kolkata Knight Riders franchise, and fared decently there. He could have easily been Zimbabwe’s future until Brendan Taylor emerged to be the top wicketkeeper batsman of his country and its captain. He could have stayed on as a pure batsman, but he was true to himself in believing that his happiness lied in working at a Church back home rather than cricket and thus prematurely has retired from all formats of the game. And then ofcourse comes our Indian hero Rahul Dravid. Dravid decided to quit ODIs and T20s for good, following the treacherous tour of England last year in which he made a brief comeback in the shorter formats of the game perhaps due to the fact that the team needed an experienced middle order batsman as injuries struck the team big time. He continued to play Tests though, and had a fabulous 2011 which was perhaps one of the best of his career until another fateful tour of Australia. He got clean bowled several times on the Test trip, especially by the pace bowler Ben Hilfenhaus and his wicket boosted the Australians so much, that they could walk over India in the series with extreme ease. India were whitewashed (again!) 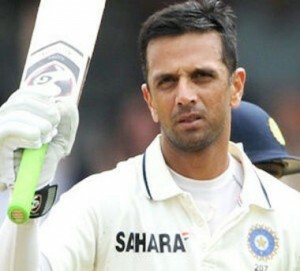 in a four match Test series and with this result, Dravid’s future was under the scanner. The man had lost his reflexes, although this may be an overstatement because of his success in England and West Indies in 2011. But the manner of his dismissals indicated that it is time India find a new No.3 batter, plus taking into account that Dravid is 39 and not getting any younger. So for the sake of the team’s future, he humbly decided to announce his retirement earlier this year from all formats of the game in international cricket which ended his 16 year international career. In these 16 years, Dravid became one of those rare batters in the world to score more than 10,000 runs in ODIs and Test matches, with his ODI success being inspiring since he was always considered to be the old fashioned, classical Test batsman irrespective of the situation of the game. It was primarily because of Dravid’s purple patch that India won more matches away from home under the captaincy of Sourav Ganguly. And ofcourse the team continued to dominate at home. Dravid became a wicketkeeper batsman in the ODI format in the 2002-03 season, for the sake of the team so that it could get its balance right, even as he was not very comfortable to take up this challenge. But his school cricket experience of wicketkeeping was handy and it helped him become more efficient a player for the team. As a result, India made it to the World Cup 2003 final in South Africa beating all odds. Even when Dravid replaced Ganguly as captain of the team in all formats, the team would always rely on him whenever in trouble. He did not mind looking bad for making the team look good and that is the beauty of this player. Where do you find such players in the world, let alone India? Plus, his behaviour on the field has usually been impeccable and has made even his most severe opponents respect him. He has had his rough days as well, such as captaining India to a first round exit in the World Cup 2007 in the West Indies but he also led to a 16 match consecutive winning streak when they batted second in ODIs during the 2005-06 season, something which the Indian team was not so good at it. Not to mention, India won Test series after ages in West Indies in 2006 and England in 2007, and a Test match for the first time ever in South Africa in 2006. He has been India’s best batsman as far as technique and temperament are concerned, and it will take one hell of a player to replace him in Test cricket although there is always a place for more flamboyant batters in ODI and T20 cricket. The IPL 2012 might have been Dravid’s last tournament in competitive cricket, but almost everyone would love to see him return next year and lead the Rajasthan Royals with aplomb again, doing wonders not only on the field but with the bat too. Otherwise, Dravid will sorely be missed and was perhaps the last of classical batsmen in Indian cricket who is likely to succeed in the longest format of the game. For purists, his retirement would perhaps give more sadness than that of either Jacques Kallis, Ricky Ponting or Sachin Tendulkar for sure. Adios to the third highest run getter in Test cricket of all time! “The Wall finally comes down” but on it’s own.